View More In Advent Calendars - Page 6. 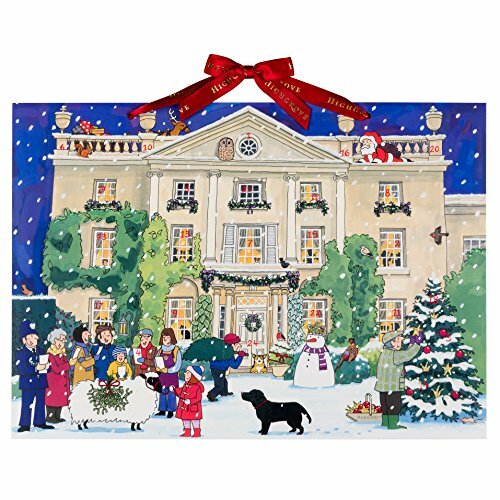 This advent calendar depicts a beautiful Christmas scene at Highgrove House, the home of Prince Charles and Camilla. Open up the doors throughout December to reveal the happenings of the home in a truly regal celebration of the holiday. Comes with a luxurious Highgrove ribbon for hanging. Find a festive illustration behind the door each day counting down to Christmas! Made in England of sturdy cardboard and accentuated with glitter.